I mainly used a focal sampling method, which is one of the observational methods. This is basically recording all the activities one focal animal is doing, on the ground of exact time. 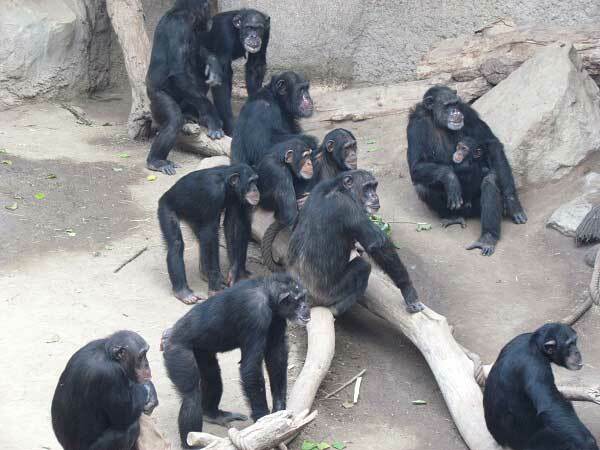 In order to use this method, I first spent 2 weeks to learn all the individuals from 3 different groups (17 individuals from Chimpanzee A, 6 from Chimpanzee B, and 8 from Bonobo group), and the rest 5 and a half months to collect the data using it. I worked 6 days a week, and on average 6 hours a day. I first made one hour's observation from their sleeping room, where I can watch them from much closer distance, in the morning from 7:30 to 8:30. And then I made another observation in the afternoon from 12:30 to about 17:00. 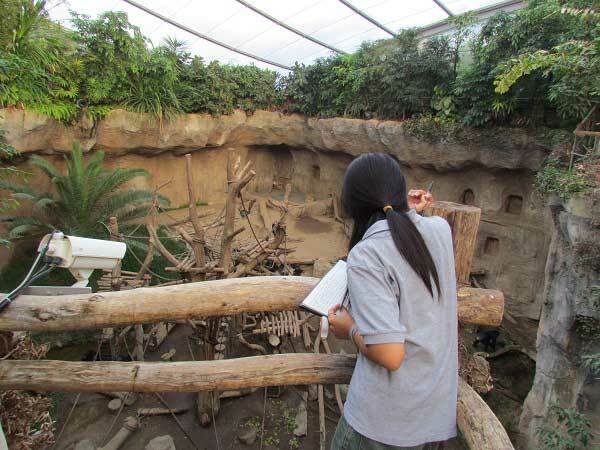 This observation was done when the animals were in the enclosures. During the time between 8:30 to 12:30, some of the animals are involved in cognitive experiments with human researchers. Because I need all individuals staying together, I couldn't make an observation during that time.